This is a drawing that I started in Boonville CA on a mini-cation. I think it's coming along nicely. 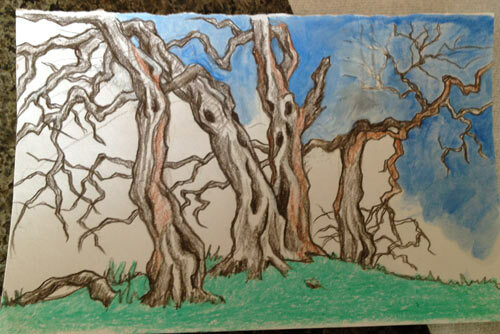 For the final stage, I'll add more contrast to the blues of the sky and green leaves to the tree branches. Here is the original drawing from March.